This is the second post from InboundDay. It covers inspirational and practical aspects of Inbound and the use of the Inbound Methodology. Earlier this week we published the first post from inboundDay summarising the sessions on insights and trends. The third and final post will cover "What Inbound and Inbound Automation are". InboundDay is unique in many aspects. Like few other conferences and seminars it is filled with practical experiences and tips generously shared by companies that are actually using the methodology. 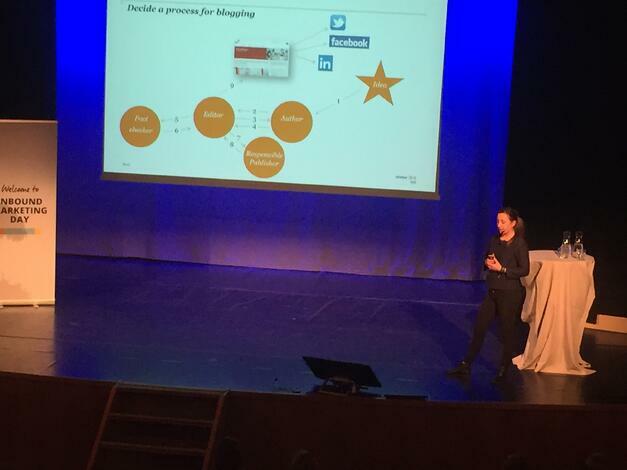 In this post we will give you a glimpse of facts and real results from #InboundDay2015. Hanna Nätt-Falkäng, is the Marketing Director at iStone. Her presentation on "How to build an Inbound team" created a lot of engagement on- and offline. In her hunt to build the best Inbound team that creates great digital experiences for their customers, Hanna admits that she loves nerds. The team needs to be "onlinified, analytical, have reach, know search and branding"- type of persons. The team also needs to be able to handle all phases of the Inbound process and methodology. The attract phase is about attracting qualified visitors to your brand and keep them coming back for more. The "Attract person" should be a curious person with great offsite (a.k.a. social media) skills. The convert phase turns visitors into contacts and will create a steady stream of new relations and leads that will help you improve the overall success of your business. The "Convert person" is her optimiser. A person who is analytical and a superuser. In the close phase business shall be sealed and it is important to be able to delight the customer into a promotor. The "Close and delight person" is result driven and must be able to guide and support their customers. Make Inbound a natural part of senior management's decision process. It must always start with management. Claim your seat and be prepared to support and guide them. Also work closely with sales and explain how Inbound can make their lives easier. Send weekly emails to the whole organisation to onboard them. Set up blog workshops and "Blog Tuesdays". Start with yourself! You need to get into the game and be able to answer all the questions. And finally, just like a car racing team, you should optimise everything you do. iStone has used the Inbound methodology since March this year. They have gained 3,000 unique visitors in six months, their podcast now has 1,200 listeners after 5 episodes, and they have achieved 1,300 followers on LinkedIn. Åsa Lundell is Marketing Manager for small and medium enterprises at PwC and her task is to drive digital transformation. 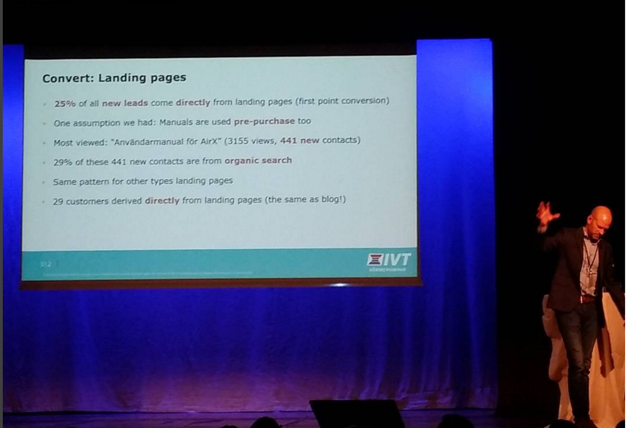 At the Inbound Day she spoke about how to convert visitors into leads using content. In a company like PwC a lot of content is published each day, for example whitepapers, reports and presentations. Since May last year PwC have started to use their content to generate leads, she said. The achieved results they have seen is that 22.12% of the visitors submitted a request and 14.42% are new contacts. 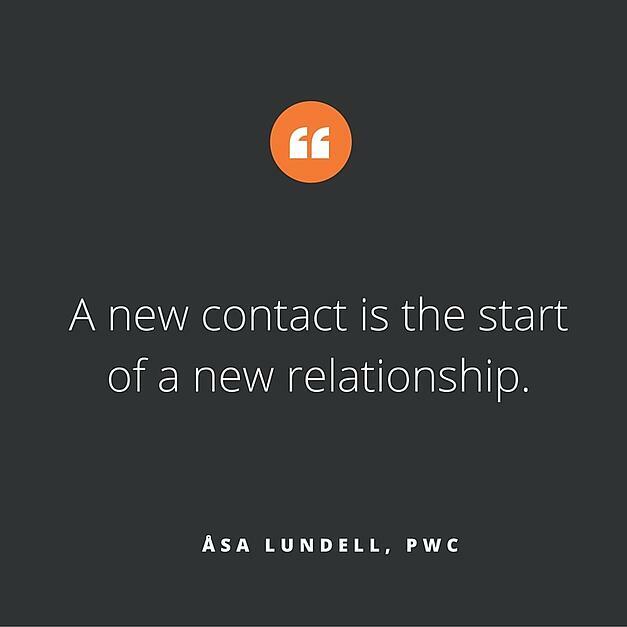 A new contact is the start of a new relationship. PwC use their blog Företagarbloggen (Swedish) as the engine for attracting interested. A good blog post can actually become your greatest lead source. For PWC the blog has generated +1,000 new contacts. Leads are mainly generated from relevant Call to actions, e.g. downloads of reports and direct contact requests. PwC use and expose their experts, their employees. And through that the interested can ask themselves: "Is this a person that I want to do business with?" They make sure all employees have LinkedIn profiles, and that they get guidance on how to set up a perfect profile and how to be present, active and relevant. Let the blog be your lead engine. Think about ways to explore existing content, repackage, change context etc. Don’t be afraid to gate content! Create landing pages, where the interested can download content with their email addresses as payment. Think about ways to qualify your leads quickly. Qualifying leads can leapfrog lifecycle stages. Try to find parts of your offering or service that can be "onlinified" or digitalised. Styrbjörn Drugge is Marketing Manager at Bosch Termoteknik/IVT, a leading heat pump manufacturer. Bosch/IVT have been working according to the Inbound methodology for two years and has seen dramatic results. They now have almost 5,000 blog followers keen to read about energy savings, which has enabled them to dominate their business online. Blogging is contributing to organic search (i.e. Google search) and generates visits and leads. They know that 23% of their leads are influenced by their blog, Styrbjörn explained. "We blog once a week, which is a realistic target for us. We have learnt that the one thing campaigns can’t do is to be forever available for those looking for information. And a landing page is by our definition a page where you can convert. Working with Inbound has meant a dramatic change when it comes to customer interaction and retainability since we are in a business where customers invest in new pumps only once every 20 years or so." 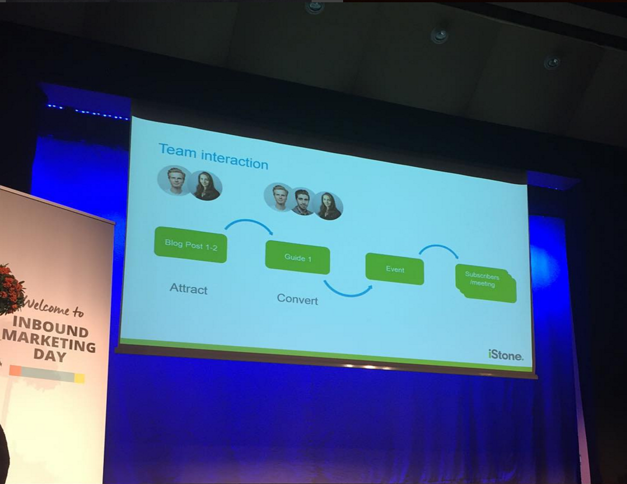 "We do lead nurturing via email, sending relevant additional content with 69% open rate and 38% click rate, Styrbjörn revealed. Today less than 30% of the sessions to ivt.se begin with the “start page”, and 98% of dealers have been assigned with an online lead generated from Bosch/IVT's online presence. Styrbjörn stressed that you need to work with personas. You shall constantly ask yourself if the persona you have in mind really like and would enjoy the content you are putting out there. And if you do think about your personas in the right way you might be surprised of what content they like that is worth signing up for. Define and follow up on clear objectives. Define personas and always keep them in mind. Keep a roadmap for implementation and a make sure that you have an educated and committed team. Bear in mind all dimensions of internal on-boarding. The last speaker of the day was Fanny Ahlfors, authorised accounting consultant at PwC. Fanny talked about how to create blog content. PwC has a couple of personas that they are focusing on. Fanny always creates blog content for two of them. Fanny confirmed that to create a good blog post you need to start thinking from the outside, with your personas, the ones that you are writing for. Make sure that you figure out their interests, problems and questions and be sure to provide answers. Blog about the things that people google for and things that creates curiosity. And make sure that you explain basic things. Relevant question + Good answer = views. Everyone should have a profile on LinkedIn. Use blog content as the main content for your offsite presence. Decide and follow a process for blogging.